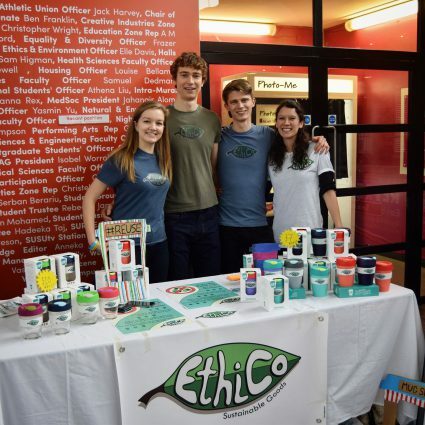 Winning the Students’ Union Enterprise Fund last year kick started EthiCo’s business plan. The team launched the sale of reusable coffee cups, which are available to buy from The Shop on Top, and negotiated with the University to bring in a discount for all users of reusable coffee cups at University cafés, which will be available from September. EthiCo recently secured an additional £2,000 from the University SEED Start-Up Funding Competition to further develop their business. This funding will enable the team to invest in their sustainable Essentials Pack and promote it during Freshers’ 2017. The pack contains a reusable water bottle, sustainably sourced stationery and a biodegradable toothbrush, all packaged in a cotton tote bag. The collection of products aims to help students live more sustainably by reducing plastic waste. 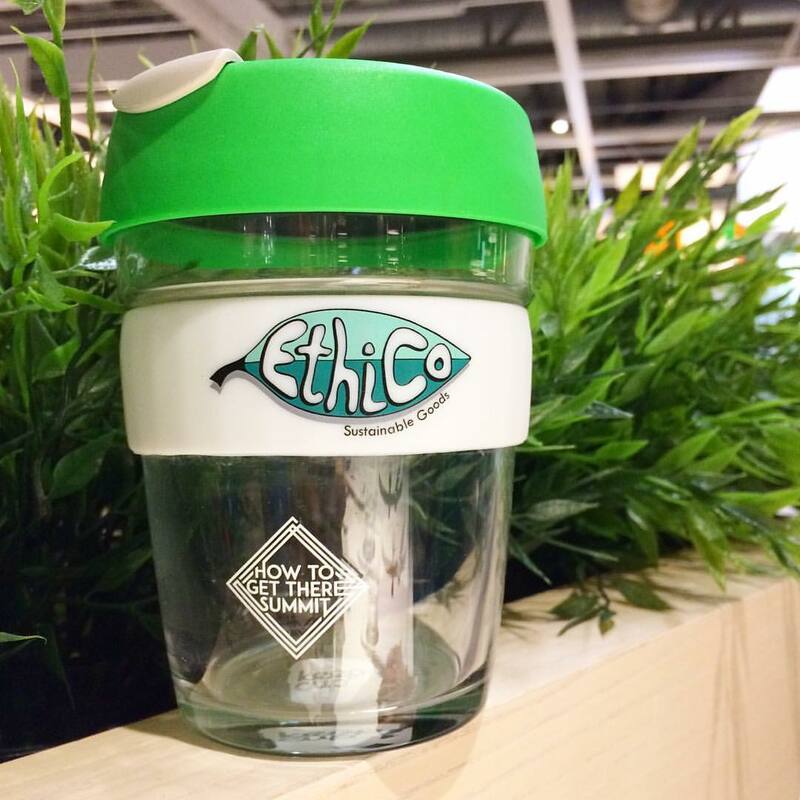 The ultimate goal for EthiCo is to make plastic waste history and encourage everyone to live a more sustainable lifestyle. 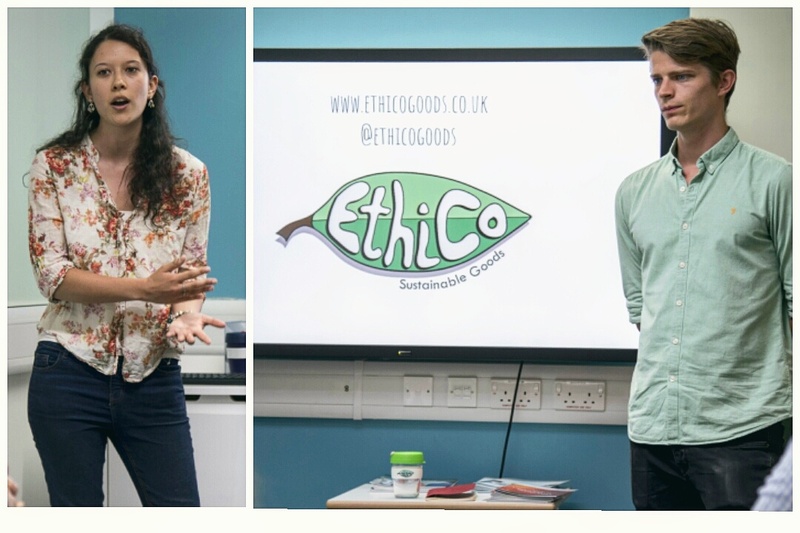 The team are passionate about developing the EthiCo brand on campus, as well as in the wider community and beyond. Sam Higman, VP Welfare at the University of Southampton Students’ Union, says: “Well done to EthiCo on securing their new funding! It’s fantastic to see their business going from strength to strength and promoting sustainable living to our students and the local community”. For further information about EthiCo, visit their website www.ethicogoods.co.uk.